As we previously reported, on October 24, 2018, a Manhattan federal jury convicted former Adidas executive James Gatto, business manager and aspiring sports agent Christopher Dawkins, and former Adidas consultant Merl Code of fraud charges arising out of a high-profile college basketball pay-for-play scandal. The breadth of the NCAA Corruption/Bribery Scandal rocked the NCAA. While the trial concluded with convictions, it is not likely that the story ends here. Many experts believe that various NCAA Division I Schools are now in the crosshairs of the NCAA and federal prosecutors. For example, as early as February, 2018, ESPN reported that as many as three dozen Division I programs, including many of the sport’s traditional powerhouses, might be facing NCAA sanctions. 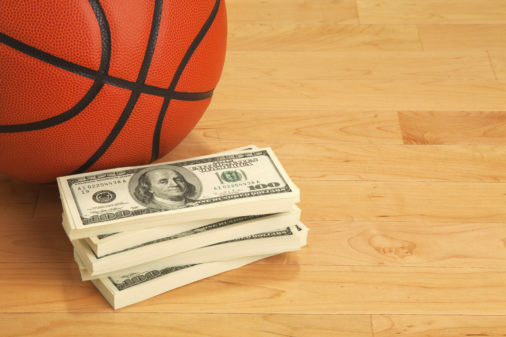 Reportedly, the federal government recently gave the NCAA approval to investigate NCAA Division I Schools, mentioned in the NCAA Corruption/Bribery Trial, which may have committed recruitment violations. Universities named or identified in the investigation include Kansas, Louisville, Miami, North Carolina State, Auburn, South Carolina, Oklahoma State, Arizona, Oregon and Southern Californian. Much of the evidence presented at trial, including text messages, recorded phone calls, voicemails, emails, and direct testimony of players, points directly at several Division I programs. Specifically, programs that are sponsored by Adidas. As more evidence from the trial becomes public, it is likely that additional Division I Schools will be exposed. For example, one email from Dawkins, lists players he wanted to pay. Among the “prospective players” were Louisville’s Ray Spalding and V.J. King, and Kentucky’s Jarred Vanderbilt and Ashton Hagans. In the email, Dawkins proposed paying Spalding $2,000 a month from October, 2017 to December, 2017, then $3,000 a month until April, 2018. He also proposed paying King $2,000 a month from October, 2017 to April, 2018 and conspicuously noted that King “will be a messy situation in my opinion.” Further, the email outlined a $30,000 proposal to pay Vanderbilt’s family to watch their son play for Kentucky, a $25,000 signing bonus after their son turned pro, a $100,000 line of credit for Vanderbilt, and a $25,000 advance on marketing revenue if he was projected as a lottery pick at the end of the 2017-18 season. Once again, Dawkins conspicuously noted that “[b]rother Jamal and dad will also be part of the deal, and receive 25% of our income on all sides.” However, currently there is no evidence that any of the payments were actually made before Dawkins’ arrest or that any of the players had knowledge of the pay-for-play schemes. Simply put, just because the trail has ended, does not mean that the NCAA Corruption/Bribery Scandal has ended.